Navy Reservists are dedicated and diverse men and women of all ages, backgrounds, and ethnicities. They work to defend the nation while also working in a variety of careers as professionals of all kinds, and with a range of education levels. Typically, Naval Reservists are continuing their military service after serving active duty for less than 20 years. However, some Reservists joined directly to the Reserves, received basic training, follow-on training, and like their former active duty counter-parts serve one weekend a month and two weeks a year. However, some programs allow for the Reservists to go active duty for a short period (weeks or months) or an extended period (years or full deployments). Depending on your skills and training, you may be eligible for more active duty time and be a part of the Full-Time Support Mission of the Navy. Navy Full-Time Support (FTS) is a program that allows Navy Reservists to perform in positions as full-time active duty members, supporting the Navy Reserve Force. These members receive the same pay, allowances, and benefits as active duty members. Often there are jobs in the military that are understaffed. Depending upon the deployment status or immediate requirement to have a fully trained member fill one of these empty billets, the Reservists can fill a need of the active-duty Navy. The purpose of the Full-Time Support (FTS) program is to train and administer the Navy Reserve. It is open to both male and female personnel. Enlisted FTS personnel serve in demanding billets both at sea and ashore, providing the support necessary to prepare Navy Reservists to deploy when needed. Often in times of war and deployment, the needs of the Navy grow, and critical job skills are a commodity. The Reservists can fill that role as well as build their military resume by deploying or filling an active-duty position stateside. A related program, the Navy Individual Augmentee (IA) program allows Reservists to perform full-time active duty service in positions that support strategic objectives. Members may be chosen or volunteer to fill in for roles requiring specialized knowledge or skill sets. They could potentially fill needs outside the Navy in any of the service branches. The primary advantage of FTS over regular active duty is that FTS members generally spend longer in a single location (they are not re-assigned as often), and there are Navy reserve bases where these members can be stationed that are not normally available for active duty sailors. Operational units, such as Navy Reserve Force ships and Reserve air squadrons. 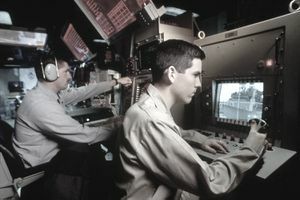 Shore activities like Navy Operational Support Centers. Major shore commands, such as the Chief of Naval Operations, Navy Personnel Command, and the Navy Reserve Forces Command. The Navy calls their enlisted jobs "ratings." Similar ratings are placed into various "communities." Click on each rating designator to read a basic job description, as well as basic qualification criteria established to obtain the particular rating. The only negative news from the open FTS jobs in the Navy is that there is minimal opportunity for re-enlistment bonuses. And most of the needs for position in the FTS are for E-6 and below sailors with less than 14-years of service. However, sailors above that threshold can submit an Enlisted Personnel Action Request 1306/7. Submit the request to change component re-enlistment to Navy Personnel Command’s Enlisted Active Programs Branch.